Apple has delayed the production of its larger-screen iPads, while it works out the final design and features for the product targeted at businesses. The company had earlier told suppliers that it wanted to mass produce the 12.9-inch iPad in the current quarter, the Wall Street Journal reported Wednesday, citing people familiar with the matter. Apple has now moved the production to the second half of this year, according to the report. Production of the devices is now scheduled for around September, according to Bloomberg, which said the change was because of delays in connection with the supply of display panels. Apple's most recent models are the iPad Air 2 with a 9.7-inch screen and the iPad mini 3, which has a 7.9-inch display. The company hasn't discussed plans for a larger-screen iPad so far. Among the redesign issues that are the delaying the company is a decision over the addition of USB ports compliant with the new and faster USB 3.0 specification, the Wall Street Journal said. Another area that Apple is working on is speeding up the charging time for the device, but it may not figure in the final design, the Journal reported, quoting one of the persons familiar with the matter. The company is also considering adding ports for a keyboard and mouse. The company is expected to announce new products at an event on Monday in San Francisco. One of the products that will likely be unveiled is the Apple Watch, the company's pitch for the smartwatch market. 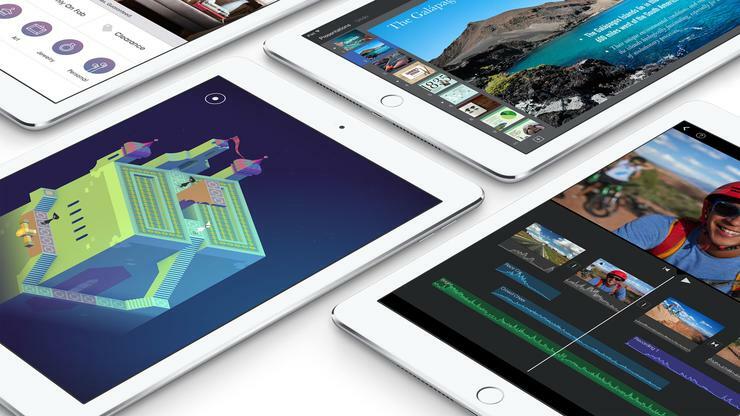 The new iPad will likely aim to boost Apple's flagging fortunes in the tablet market. It said it sold 21.4 million iPads in the quarter ended Dec. 27, a year-over-year drop of 18 percent by units and 22 percent by revenue. Its market share dropped to about 28 percent in the fourth quarter of 2014 from around 33 percent in the same quarter a year earlier, amid a 3.2 percent global drop in the number of tablets shipped, research firm IDC reported.